René McLean is a multi-reed instrumentalist, composer, bandleader, educator and producer, who began his musical training at the age of nine under the tutelage and guidance of his father, world-renowned alto saxophonist and educator Jackie McLean. René has performed and recorded as a leader and featured sideman with the crème de la crème of Black Musical tradition, to name a few -- Jackie McLean, the Dizzy Gillespie Big Band, Tito Puente Orchestra, Horace Silver, Baba Olatunji, Hugh Masekela, Abbey Lincoln, and Dexter Gordon, as well as in collaboration with premier poet-activist Amiri Baraka. René has performed, conducted workshops and lectured at numerous universities and cultural programs throughout the world. He is the recipient of several National Endowment for the Arts grants and fellowship awards. René defines his music as "transcending socio-political and cultural boundaries - it's a universal language." Rod Williams is a Pianist, Keyboardist, Composer, Multimedia Composer and Programmer. Bill Shoemaker of JazzTimes wrote, "Williams can produce rich melodic improvisation on asymmetric thematic materials full of sudden shift in tempo and mood, extended structures, and tangy idiomatic mixture, and make them swing." 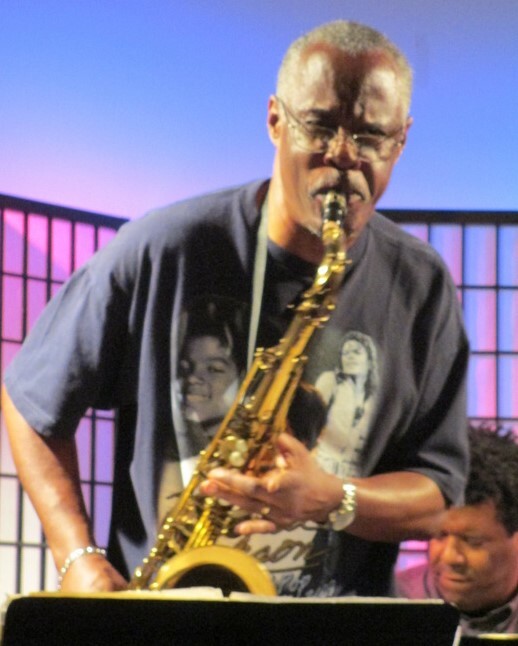 Rod Williams has toured widely in Europe, Japan, China, Australia, and South America and performed or recorded with a host of artists including Cassandra Wilson, David Murray, Dewey Redman, James Newton, James Carter, Olu Dara, Lester Bowie, Greg Osby, Steve Coleman, David Gilmore, Sam Rivers, James Spaulding, Henry Threadgill, Lawrence D, Butch Morris, Warren Smith, Jean-Paul Bourelly, Eddie Harris, Julius Hemphill, Wadada Leo Smith, Billy Bang, Graham Haynes, Oliver Lake, Marty Ehrlich, Billy Hart, Billy Higgins, Bob Steward, Warren Smith, Lonnie Plaxico, Geri Allen, Marcus Belgrave, Dianne McIntyre's Dance in Motion, and Indian Classical Dancer Aditi Bhagwat. Ronnie Burrage ~ Almost immediately after moving to New York City while still in his teens, Burrage began recording and touring with jazz legends. Hired as a collaborating percussionist with McCoy Tyner, Woody Shaw, Wayne Shorter, Archie Shepp, Jackie McLean and Sonny Fortune, Jaco Pastorius, guitarist Pat Metheny and many others. His work and compositions will take you on a cinematic journey around the world as well as to galaxies far away. Ronnie Burrage has toured and recorded with the music industries leaders in innovation since the late 70's.